At Auchter Construction we provide quality service in construction, remodeling, and residential consulting. You the customer, are our top priority. From a home or a remodel, we have the ability and experience to meet your needs. We were led into the remodeling industry by way of our own experience doing extreme remodels with older homes. We were able to see the potential in the aging homes around the area and it was inspiring to us to turn them into something beautiful. We would love to work with you and your ideas to create a wonderful, functional space that you will enjoy for a long, long time. EarthRite Construction is an award winning, full service design/build firm. 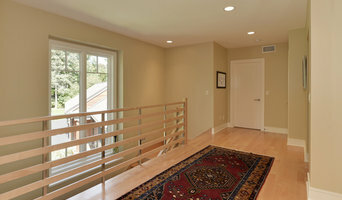 We specialize in residential custom remodels and full-scale renovations. OUR MISSION A construction company committed to delivering an exceptional building experience to clients, consultants, and vendors, Earthrite is dedicated to maintaining a healthier model for building by balancing between efficiency as it impacts our customers and as it impacts the environment. OUR VALUES Responsibility Earthrite prides itself in handling the many aspects of a build so the customers don’t have to, making the building or renovation project a pleasurable experience for everyone. Our construction calendar takes each build into consideration; we don’t schedule more projects than we can complete in a respectful time frame. Taking into account that people (not machines) are creating your home, we do everything in our power to meet all deadlines. While our timelines are realistic, we will never “rush a job” to compromise quality. The time, effort and skill we put in to each detail of a project is transformed into years of enduring workmanship for the home or project owner. You can count on this: your satisfaction is our responsibility and we take that to heart with every decision we make. Quality With 20+ years of construction experience, we know that the number one value to uphold in the building industry is quality. Earthrite is about quality: quality materials, quality workmanship, and quality customer service. Ingenuity At Earthrite, we honor the unique needs, interests and tastes of each client, and strive to bring creative ideas and originality into designs that will help make the houses we build into homes. We are known for our ingenuity; we share that with our clients and build to suit our customers. Passion There’s a reason we’ve been in business for three generations... passion. We love what we do, who we work with, and what we create. This translates to our clients through conscientious professionals that are a part of an inspired and friendly company you'll enjoy working with. Results As a Best of Houzz award winner, we believe that our customers' reviews and satisfaction speak for us. Their approval is based on results. Give us a call or message today to learn how we can partner with you on your next project. Founded in 1984, Bartelt. The Remodeling Resource has grown to become southeastern Wisconsin's premier remodeling firm. With in-house designers, production staff, and expert carpenters, Bartelt specializes in residential and commercial design and construction. Whether renovating an existing home or building a new one, we take your ideas for your home, create a workable design, and make it a reality. The company has won local, regional, and national industry awards, including two 2016 Regional Chrysalis Awards and a 2017 Regional Contractor of the Year (CotY) award presented by the National Association of the Remodeling Industry (NARI). Bartelt is a member of the Milwaukee/NARI Home Improvement Council, Inc. and Metropolitan Builders Association. 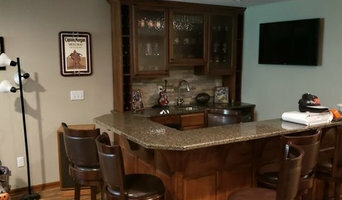 With over 22 years of industry experience specializing in home remodeling, including; kitchen and bath remodeling, recreation rooms, siding, roofing, decks, finishing, and rough carpentry as well as repair work for many local West Bend and Waukesha, WI home builders and homeowners. Today, we proudly design and build customized homes optimized to the diverse demands of our clients. Owner, Mike Bartelt, manages each of his projects from beginning to end, providing a levels of service and attention to detail you will find with no other company. The foundation to our company's success is, and always has been, the age old practice of passing knowledge from generation to generation and produce quality work. General, or construction contractors, are often known as project managers. They oversee the entire remodeling or new home construction project and facilitate all day-to-day tasks that move it toward completion. A Mequon general building contractor will work with your architect to review plan as you build a house and ensure everything is in place before work is started as well as arrange for permits and necessary inspections. While good local home improvement contractors in Mequon will have the skills to handle certain tasks onsite, such as carpentry, he or she is also responsible for hiring subcontractors for the majority of jobs, such as electrical work, painting or plumbing. In addition, the general contractor should be on-site regularly to inspect the progress and resolve issues. Here are some related professionals and vendors to complement the work of general contractors: Architects & Building Designers, Interior Designers & Decorators, Landscape Architects & Landscape Designers, Kitchen & Bath Designers, Specialty Contractors. Home remodeling contractors are a must for successful completion of a renovation. Because of this, it's essential that you do your homework before deciding on the right general contractor in Mequon as you remodel or build a house. Inspect bids carefully. Was it ready when the contractor promised it? Was the bid for building a home unusually high or low? Each of these things can be very telling: A late bid may reflect timing standards, and an off-the-mark bid could be code for a pricey premium or a deliberate underbid to score the remodeling job. You should call references, carefully read reviews and visit completed projects in Mequon, WI to see if they’re what you expect for your job. Once you do secure your local Mequon contractors, read the contract very carefully to be sure everyone is on the same page. 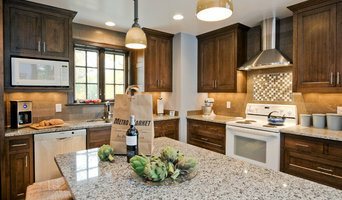 Find a Mequon contractor on Houzz. 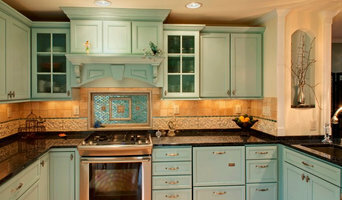 Narrow your search in the Professionals section of the website to Mequon, WI home contractors. You can also search for photos in Mequon, WI and contact the Mequon general contractor who worked on the project.